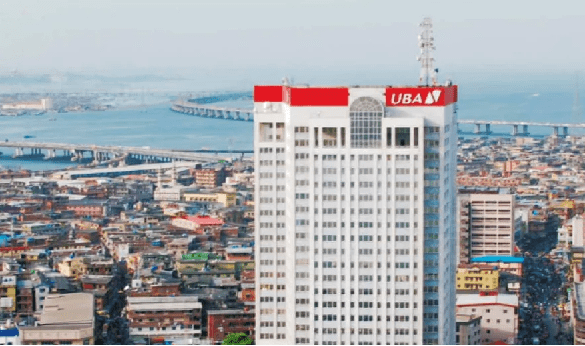 UBA, Japan to Partner on MSME Epansion – The United Bank for Africa (UBA) Plc has indicated its preparedness to support the Japanese government in its drive to promote small and medium scale enterprises (MSMEs) across Africa. Chairman of UBA Group, Mr. Tony Elumelu, said this yesterday when members of the Japan External Trade Organisation (JETRO), led by its CEO, Mr. Hiroyuki Ishige, visited the bank’s head office in Lagos. Elumelu, who welcomed the guests, noted that the deliberations had earlier begun in Davos, Switzerland, adding that like UBA, JETRO shared the passion for transforming lives and helping to build businesses and trade across the world. According to Elumelu, “When global leaders visit a country, they bring global attention. These investors who came from Davos have seen Nigeria as a business destination and have come to the country for the first time to visit us and see how things work here. The fact is that we all share the same passion to help transform lives and businesses around the world. Elumelu stated that such collaboration and partnership would support employment creation, poverty alleviation and building sustainable businesses that contribute towards economic growth. Also, Ishige, who was full of praises for the bank’s management, noted that he found Nigeria very interesting with many wonderful opportunities for investment. He said the JETRO aims to contribute to further development of Japan’s economy and society through promoting trade and investment as well as research in developing countries. “We like what we have seen here and we want to seize this opportunity to invite UBA to our oncoming Afro Japanese Summit which will be taking place in Yokohoma, Japan this August. “I am convinced it will be a great opportunity for both countries to showcase themselves and come together towards the common aim of building and supporting small and medium scale businesses,” the Japan Trade boss said. He explained that JETRO through its domestic and oversea networks supports small and medium enterprises, adding that the organisation cooperates with relevant organisations, local governments, etc. to provide services that match the needs of the company. “We will actively and efficiently work on exporting food products and on supporting overseas expansion of small and medium-sized enterprises and contribute to Japanese corporate activities as well as trade policies through surveys and research,” Ishige said.